Six weeks have past since I first arrived in Salamanca, home to the oldest university in Spain, and I have a mere twelve more to go. It’s alarming to think I am already a third of the way through the second half of my Year Abroad, when it feels like it has only just started. My last semester in Perpignan already feels like it was just a dream. When I first got here, the weather was dreadfully cold and it was impossible to leave the house without the thick scarf, hat, gloves, jumper, coat combination. It was much different comapred to the mild temepratures of the south of France! It feels liberating to leave the house now without all these winter accessories and embrace the arrival of the warmer weather. 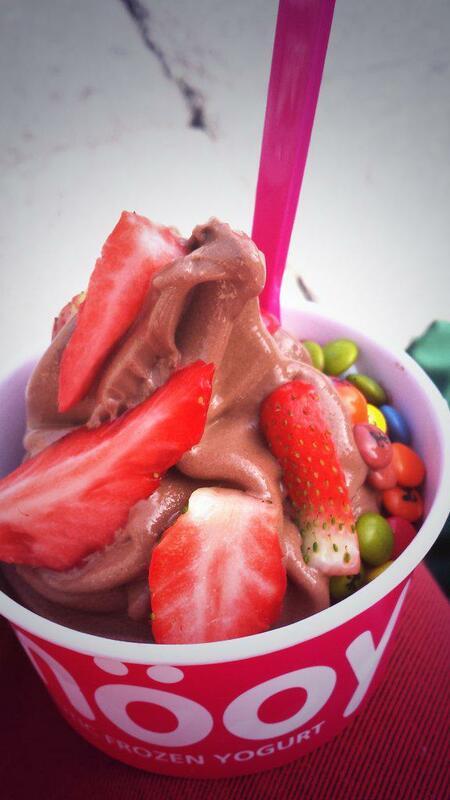 Despite the lack of beaches in the region, we have bountiful supplies of frozen yogurt to make up for it. We have just finished Week 5 at university, and I have finally settled into my classes in the Languages Faculty. 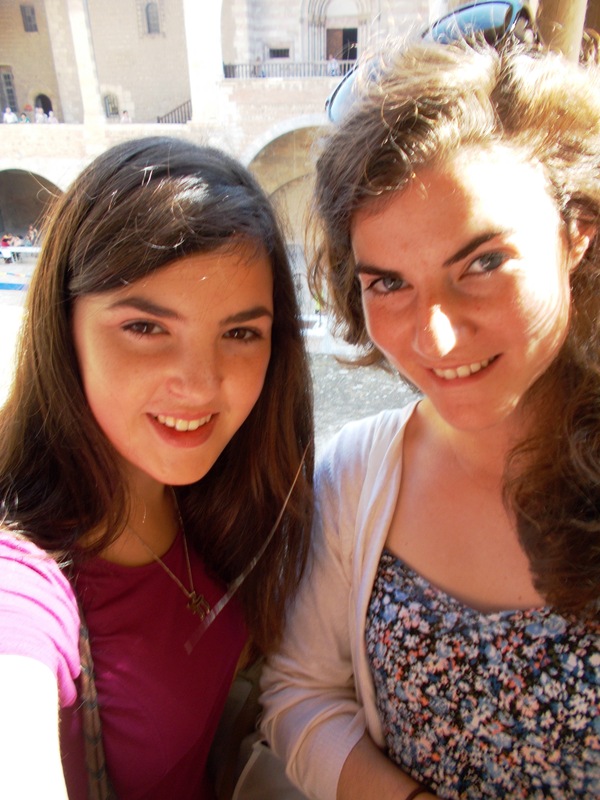 It’s difficult not to look back at last semester and compare both experiences of university life in Perpignan and Salamanca, as they are so different! So here are a few which have struck me the most. From what I can build on from my five observations and hopefully stress to other (potential) Year Abroader’s, is that you can’t have everything in your Year Abroad destination. For France, I chose location over the university I studied at. For Spain, I decided that the university had a higher priority over good climate. 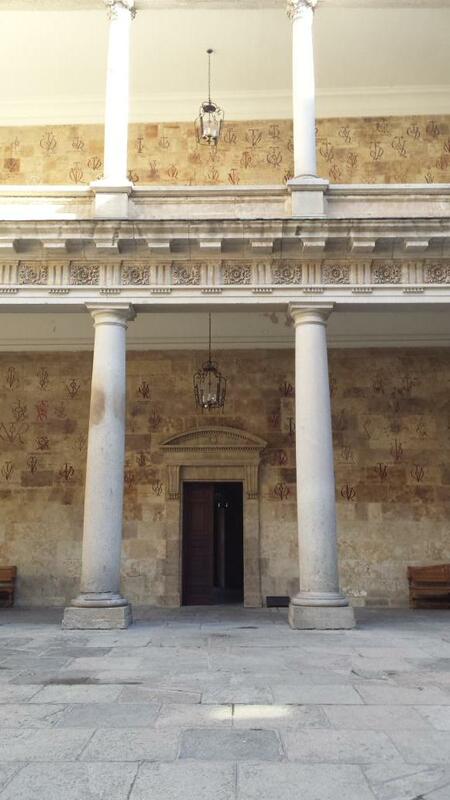 The inner courtyard of the Languages department in Salamanca! I think it is fair enough to say that my university in France loses this round. I am still chasing up documentation that I needed in December, which is absolutely ridiculous. Here in Salamanca, I was able to book an appointment to register – no queueing necessary! All module information with ECTs credits is available online on the UPDATED website and the university actually uses an online blackboard platform for students to use which is useful. Oh, and I already knew the exam dates before I even registered for the classes! Win, win, win. 2. Language barriers: Spanish, why you so hard? Unfortunately, although the university here is fantastic, the language barrier is much more of an issue for me. I have studied French for twelve years, and although I am far from being fluent, I was much more comfortable expressing myself in French which made it easier for me to make friends of other nationalities, communicate with my housemates, ask teachers questions etc. Here, although I can understand everything that is beeing said and okay, I CAN speak Spanish, my speaking skills are so weak compared. I only took it up when I started university, so I don’t want to beat myself up about it too much, these things take time. But sometimes, I feel like it is better to say nothing, as it is just too complicated for me to try and explain what I want to say. I know this is not the right attitude, but when you are really tired at 10pm at night making tea, you don’t really want to be making life harder than you need it to be. So much so, that when my Spanish housemates introduced me to a French friend of theirs, the two of us had a great, flowing coversation for over half an hour in French and covered topics I have never been able to touch on with my housemates. My housemates were shocked to learn that I could even speak that much at all, as I speak very little normally to them, and it just highlighted the issue even more. I thought living with Spanish students would be great for combatting my language barrier issues, and although it forces me to speak Spanish, it has made life more difficult for myself. They are final year Medics who have their own friendship circles and lives, so I feel more like a lodger than a flatmate, just filling a room. We don’t do anything together and it’s not really what I am used to back in Sheffield or when I was in Perpignan! Repas de départ. 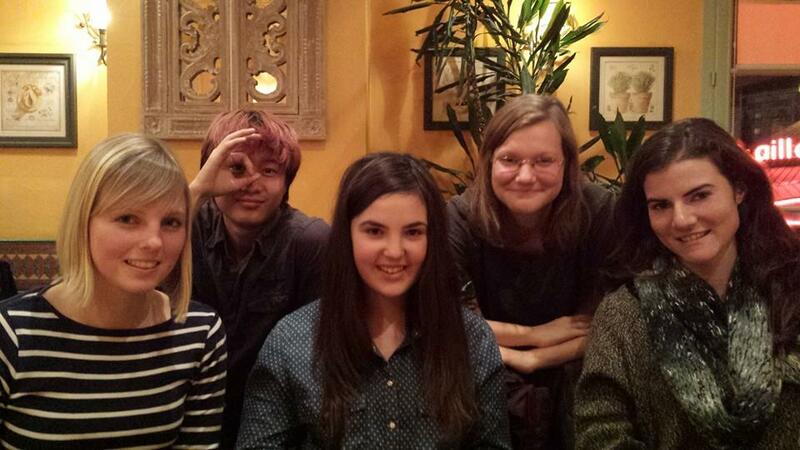 Leaving meal in Perpi! I miss living with like-minded people who like to have fun, cook, chat or just hang out and it’s something I am looking forward to experiencing again when I move back to Sheffield for my final year in September. My first semester was great for all of these things though, as I had an awesome roommate, Kam, also on my course from Sheffield uni, and we spent all our time together. It feels so weird to be on the complete opposite side of the spectrum now, having to cope with the ups and downs of the Year Abroad on my own now! Still, I haven’t been here that long, and hopefully in the next 3 months my confidence speaking Spanish will improve. I can already tell that my listening comprehension has shot up, so all in its own time and all that. 3) Erasmus student status: alien or normal human being? I swear, as an Erasmus student in Perpignan, I stuck out like a swore thumb. On the whole, teachers are welcoming to international students in class, but they don’t really know where to start when it comes to how to assess us – which goes back to the organisation issue. In many of my classes, I was the only foreigner. I was often picked on by the teacher as ‘hey, let’s see what our English Erasmus student thinks!’ when I’d rather just hide in a corner at the back of the class instead of 30 wide-eyed French teens stare at me, acknowledging my existance for the first time, at 8am in the morning. In Salamanca, there are thousands of international students, much like Sheffield, which is a stark comparison to the few studying in Perpignan. The university is better informed and more prepared for our presence which makes the whole thing a lot easier, and students don’t stare at me which is a bonus. I mean, my Spanish literature teacher addresses the fact that there are many international students in his class, and makes sure he explains difficult terminology on the board for his ‘estudiantes extranjeros’ which is really nice, it’s reassurring to know that he knows we exist. In France, I asked my literature teacher if she could write important terminology on the board, as I would often get lost and miss the important points to take note of which meant my essays didn’t focus on the things she wanted; she just responded that ‘I am not much of a ‘writing-on-the-board-kind-of-teacher, and you will have to make do.’ That is just NOT helpful, but thanks for listening. I specifically chose Perpignan last year for one reason: the location. I had never visited the south of France before and Perpignan is as south as you can get. It also had the best climate on mainland France out of all our university link options which was also tempting. Perpignan was equally incredible for travel. 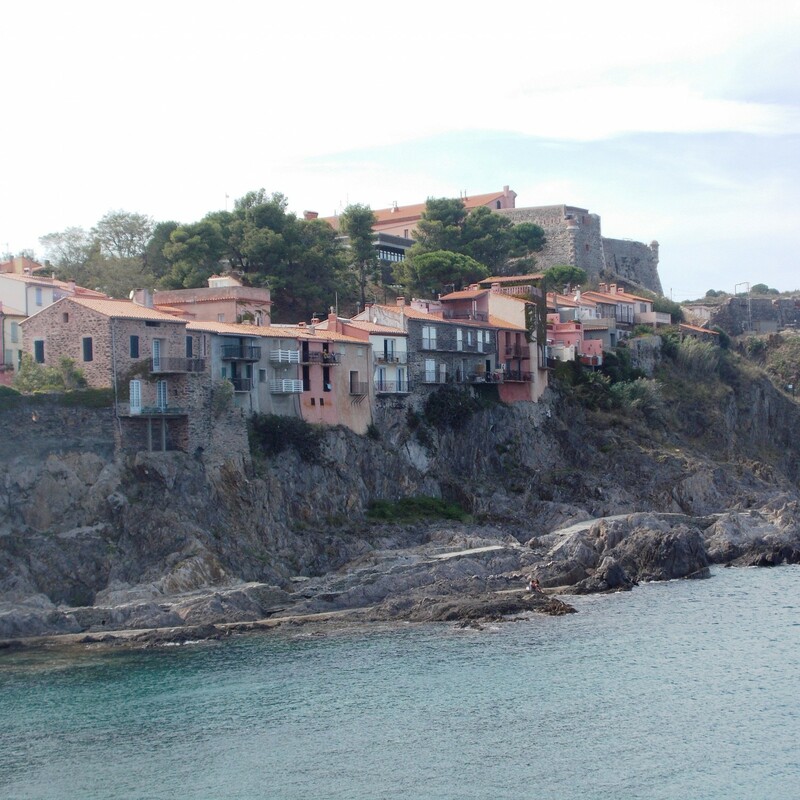 It is so close to many day trip options and I was never short of somewhere to go at the weekend: Girona, Barcelona, Montpellier, Nîmes, Villefrance-de-Conflent, Collioure, Carcassonne… I could go on for days. It was amazing! And relatively cheap to travel too! 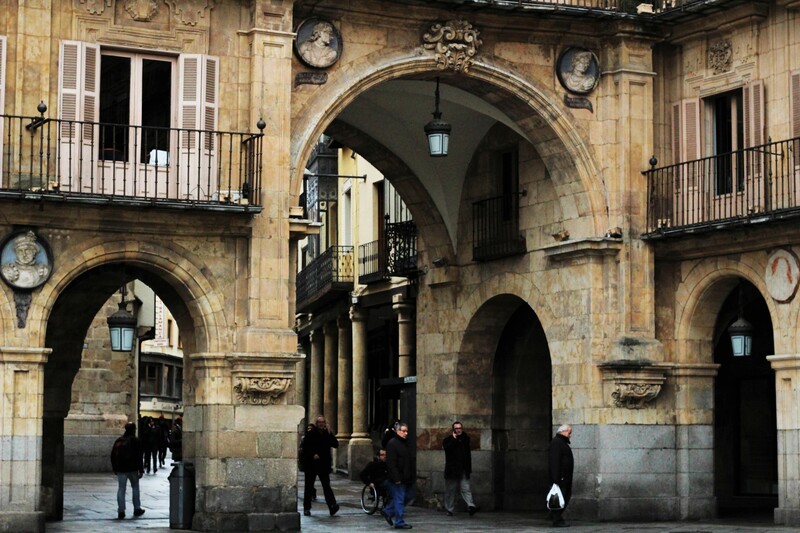 Salamanca, was a strong candidate because I had never visited the North of Spain before, the university was good and I was told that the accent in the region was ‘the best’ to learn. Still, it is difficult to organise a day trip independently. Madrid is just a little too far for a day-trip unless you want to leave at the crack of dawn, but is the best connecting city from Salamanca. Luckily the ESN Salamanca does trips which make the stress of finding public transport all that little bit easier, however these trips can be on the expensive side as they can add up. 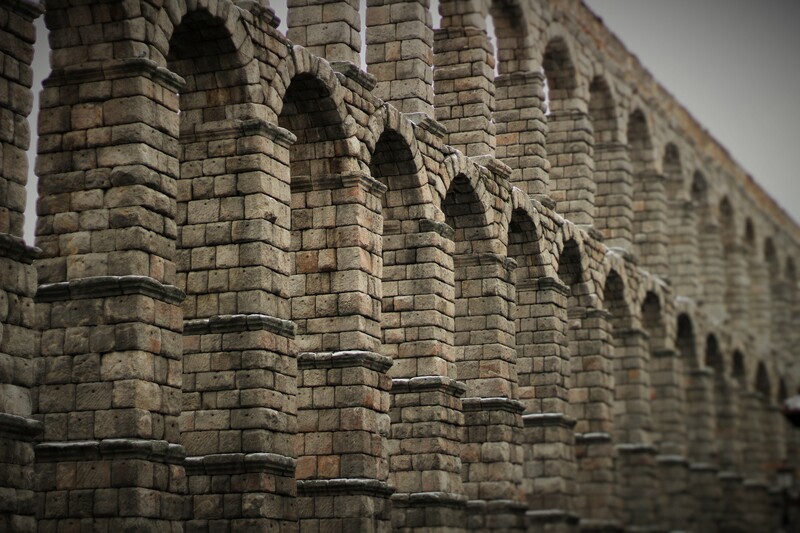 I doubt I would have gone to Segovia or Toledo any other way though, so I am grateful for its existence. Salamanca doesn’t have the best direct bus/train routes, or even if there are, they are quite expensive. Oporto is 4 hours away but it is just as expensive to get to Madrid and fly there as it is to get a direct bus. Santiago de Compostela, why are you so difficult to get to? Seville, there should be a direct link to you as well! Strangely though, I managed to get return bus tickets to Bilbao for a weekend for 10€ (!!!) which is a 5 hour journey (hello país vasco!). Spain, I don’t understand your logic. Despite some frustration in getting to the places I would like to visit this semester, I have nonetheless managed to see a fair bit of Spain already and I have trips to Valencia for Las Fallas and a weekend in Bilbao lined up later this month, so it isn’t all that bad! One thing which I like about both cities though is cost of living. Perpignan was cheaper than what I was used to in Sheffield but Salamanca is even better! I am paying an average of 40€/week for my flat, which is pretty impressive (more reasons to love Spain!). Although both Perpignan and Salamanca have their pros and cons, I am so glad to have chosen these two very contrasting cities for my Year Abroad. If given a chance to choose again, I would stick by my initial decisions! Of course, no where is perfect but it’s the opportunities and challenges posed by living in these places that have shaped my Erasmus experience up until now.